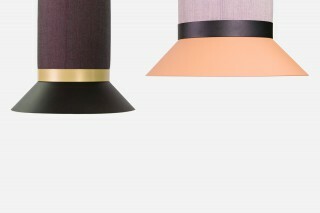 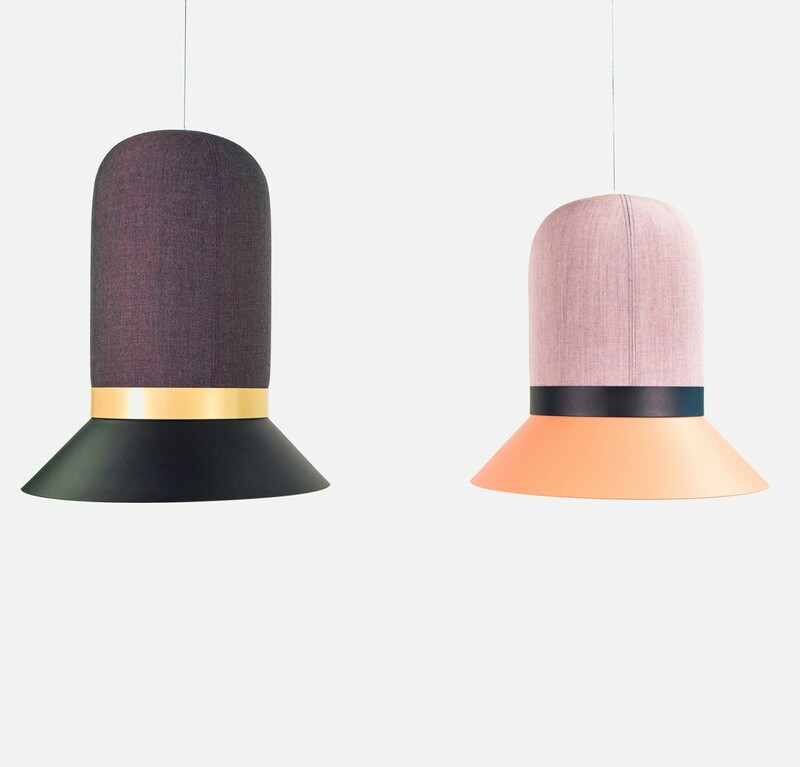 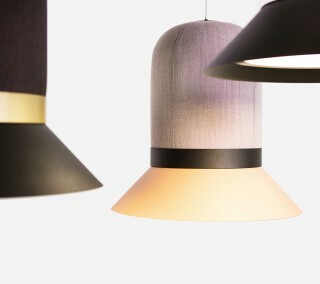 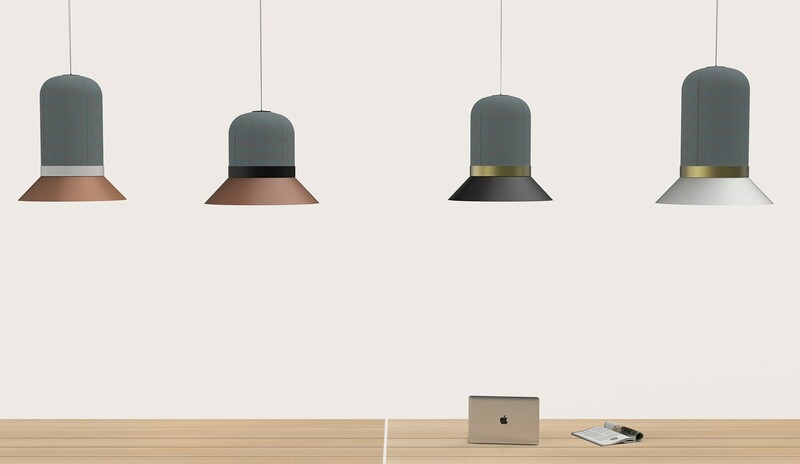 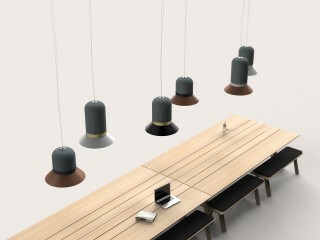 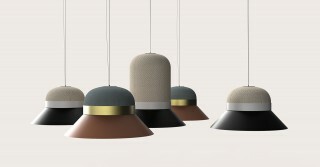 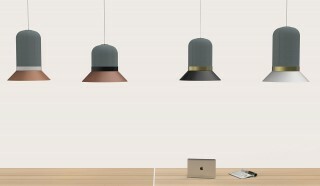 The BuzziHAT Lamp is a sound-absorbing lighting collection. 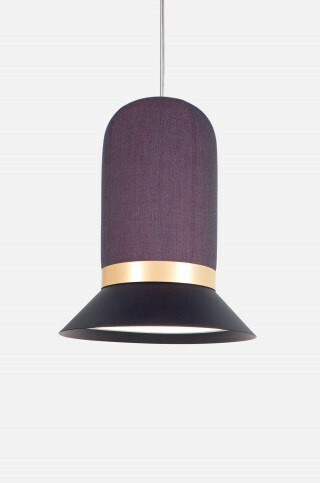 It combines a high-end technical light module, a carefully upholstered top section and a ring. 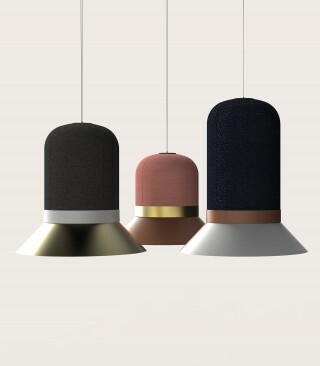 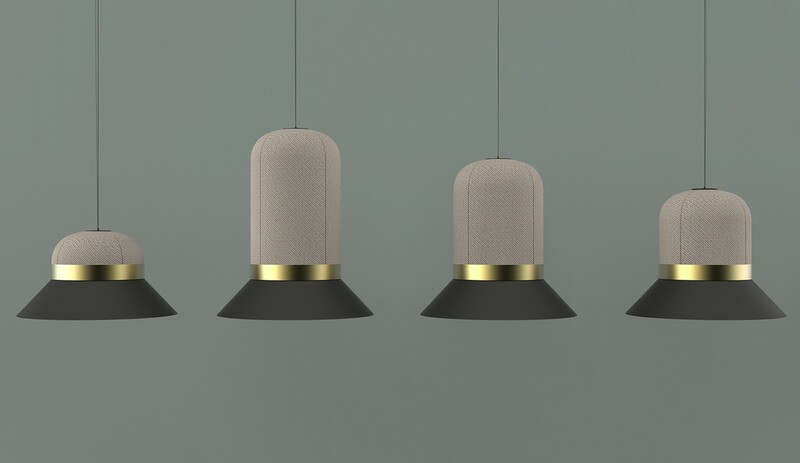 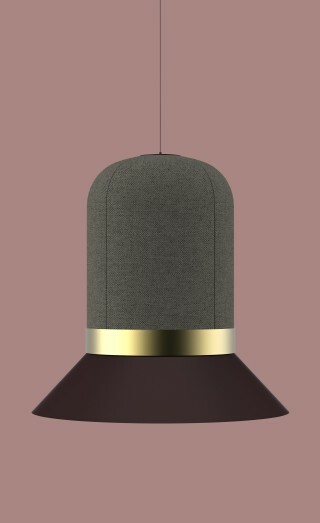 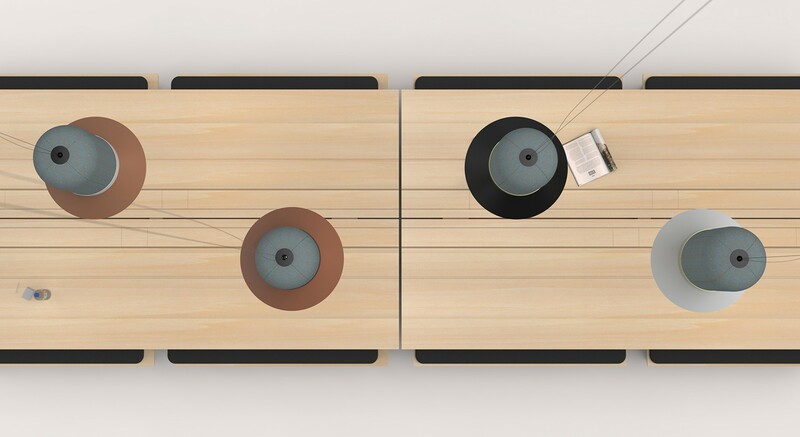 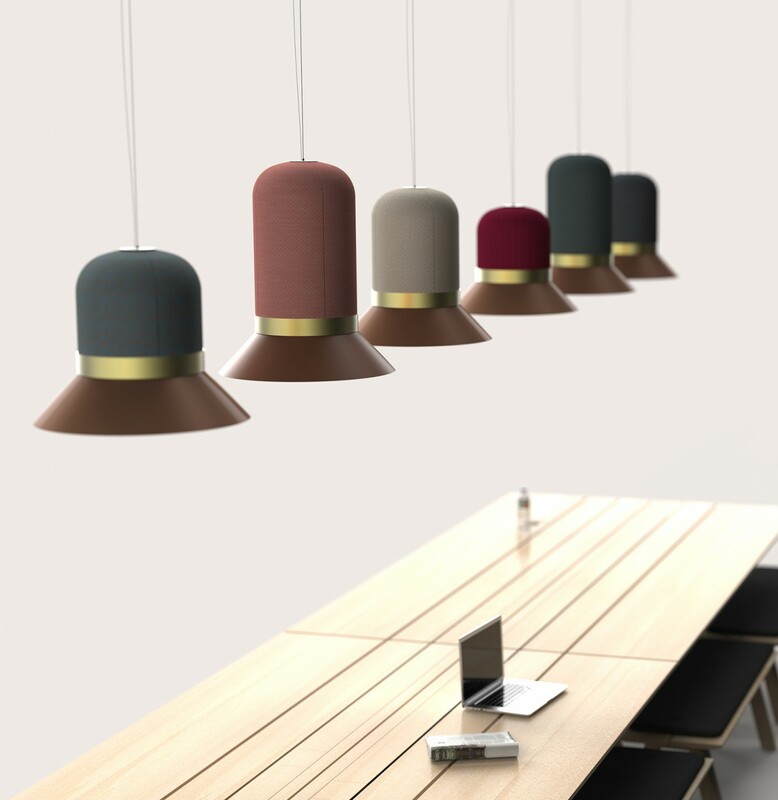 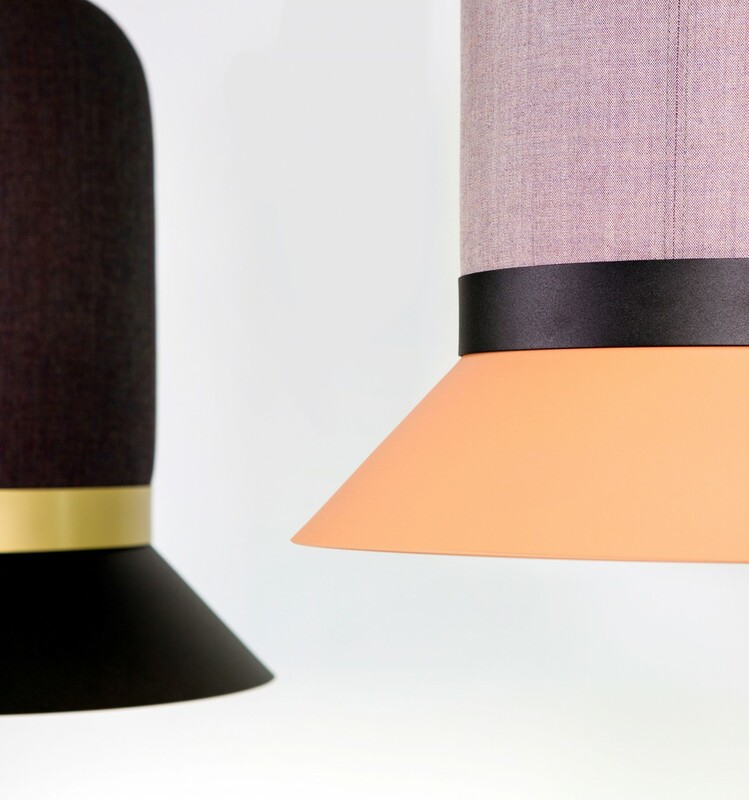 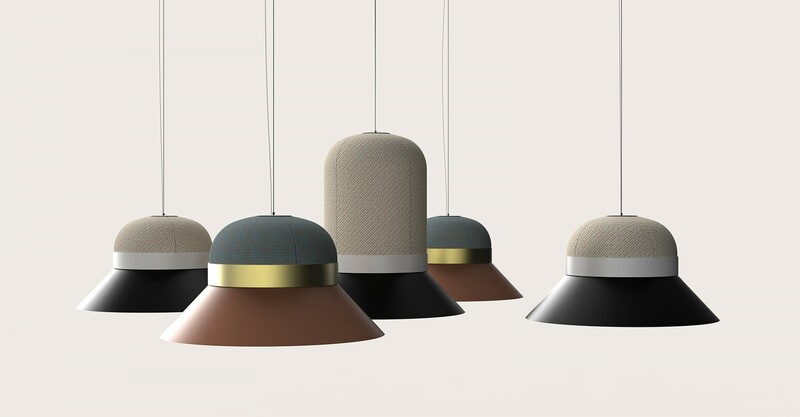 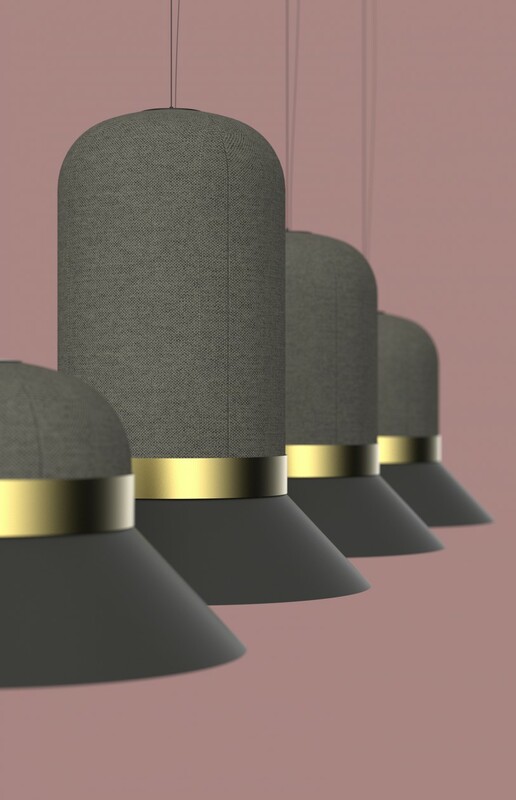 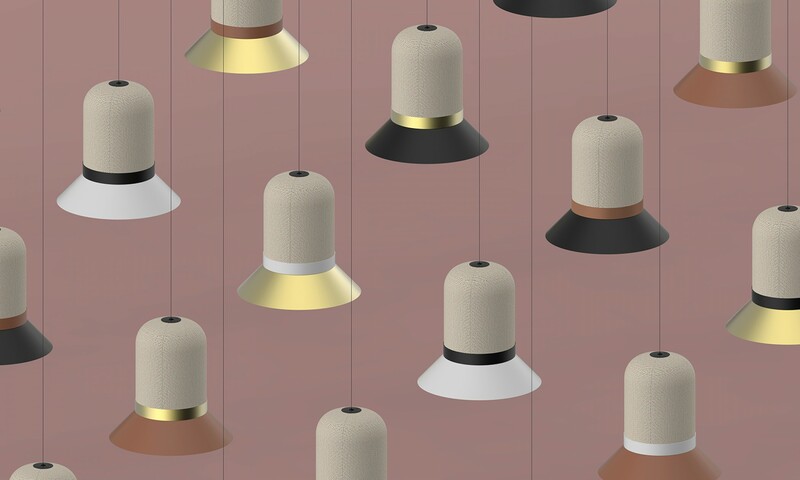 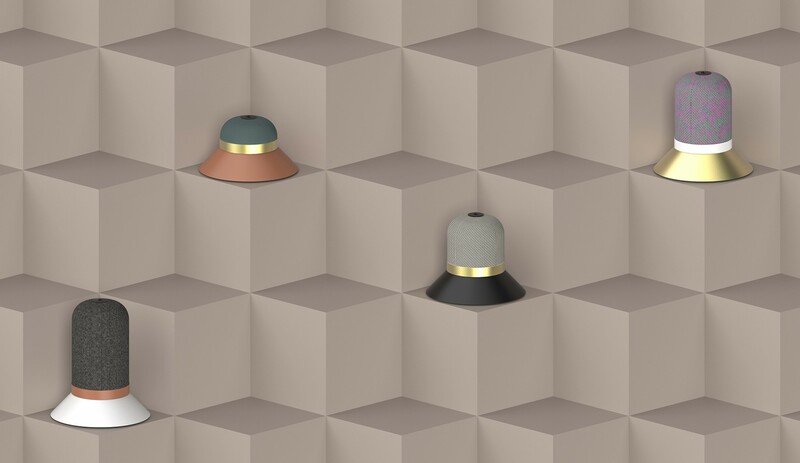 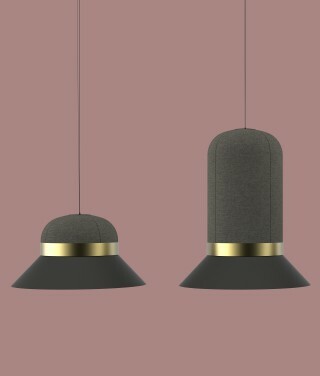 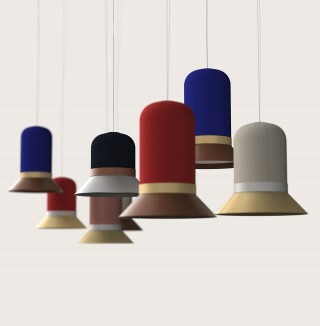 It takes inspiration from collapsible top hats because the upholstered part on top of the light module is available in different lengths, thus creating a more or less significant sound absorption effect. 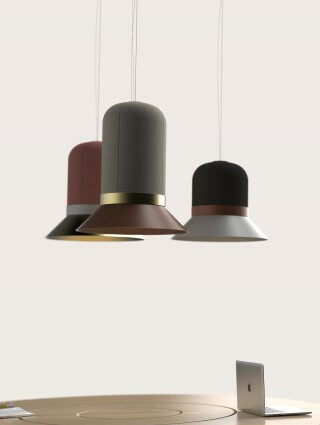 It goes without saying that the lower models absorb less sound than the higher ones. The length of the sound absorber varies in order to accommodate to the sound level and size of the room. These lengths also allow architects to define certain areas within a room by using certain lamp heights either by themselves or in a cluster. 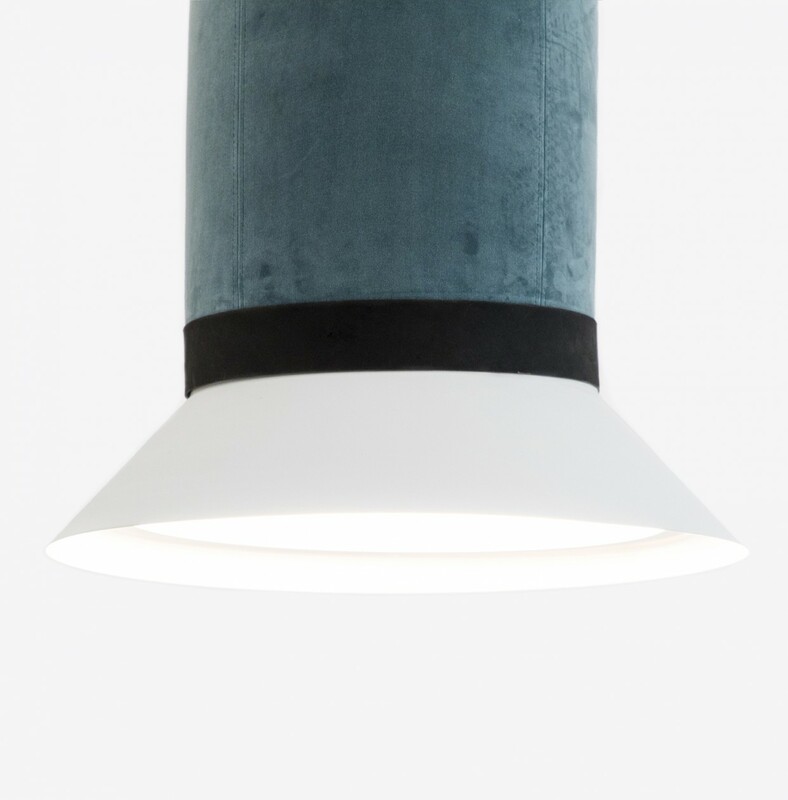 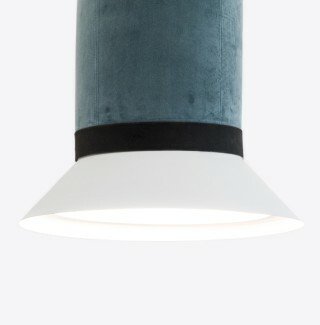 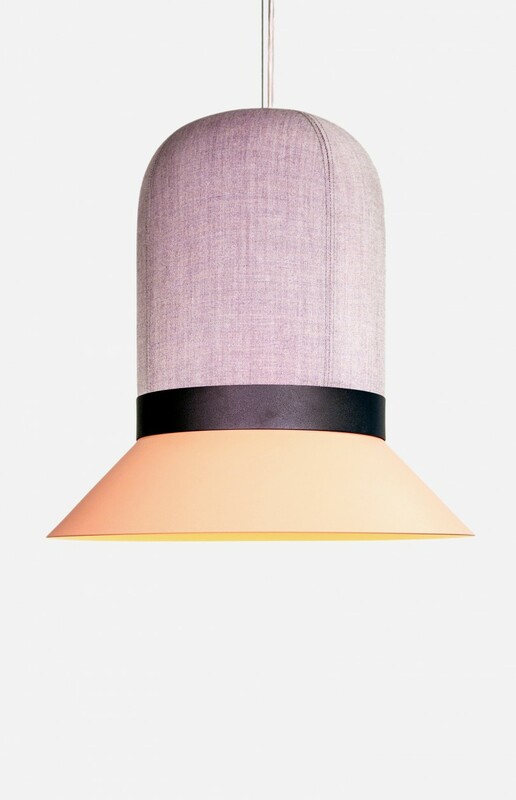 This lamp is quite unique since it combines the hard industrial approach of technical lighting with the soft hand-made approach of upholstering. The lamp offers almost endless customisation options because both the lamp shade and ring are available in 4 different colours. 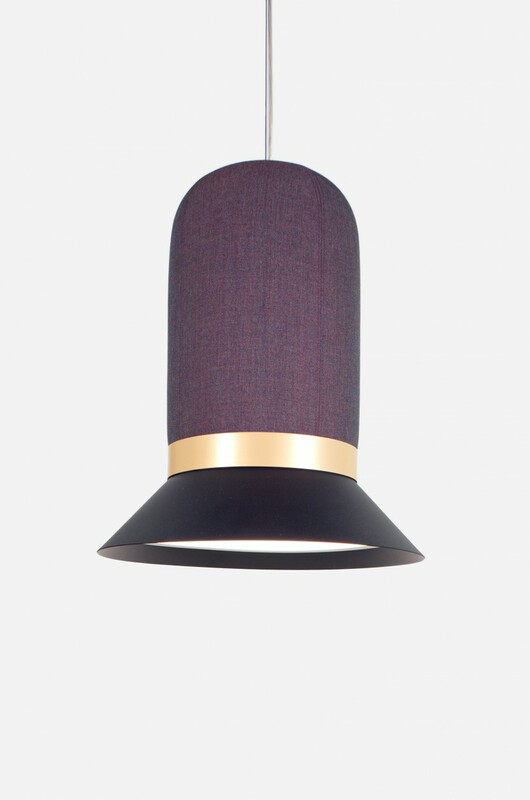 And as for the upholstered top section, this is available in a very wide range of fabrics or custom fabrics and the general shape can vary in height too! 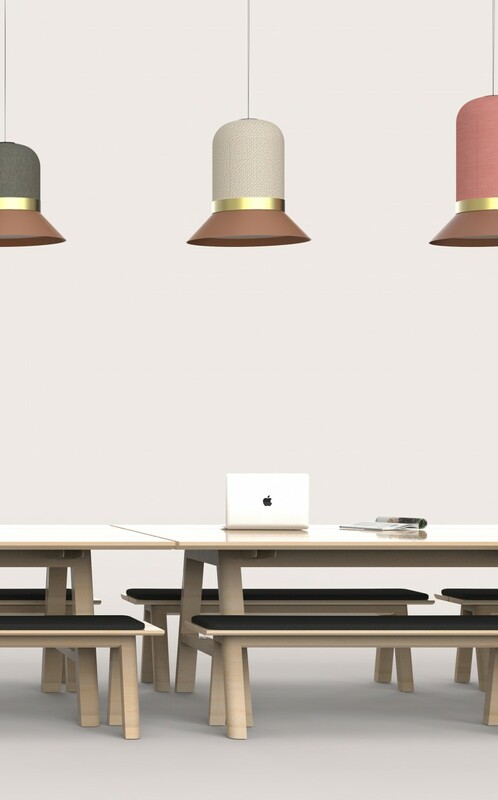 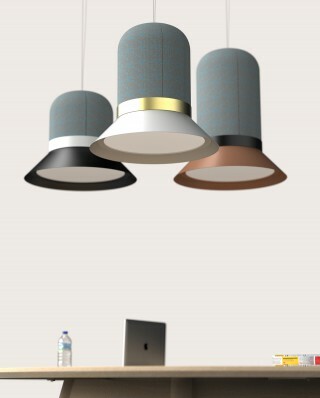 The lighting module is a truly functional light for offices. 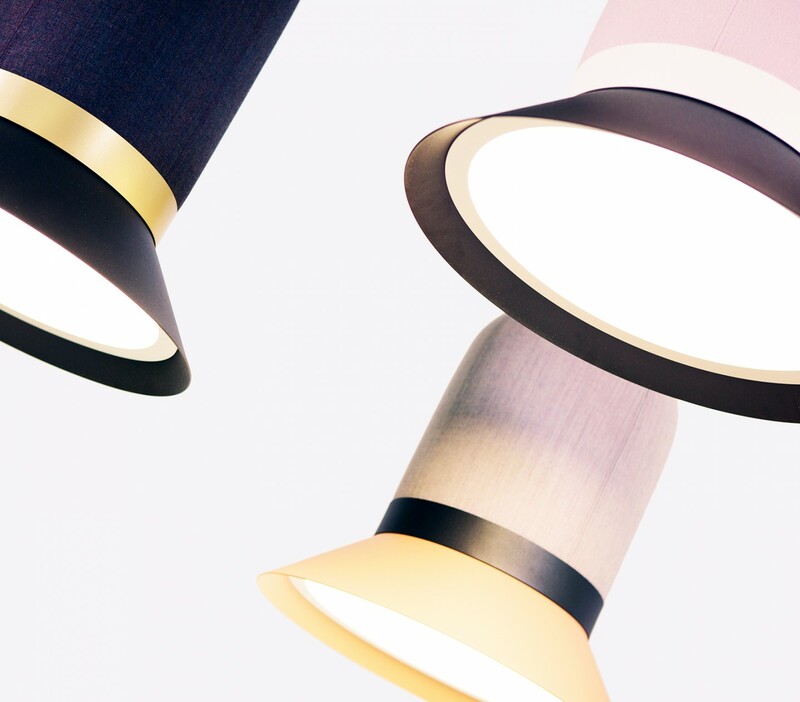 It provides 2,000 lumens but it is also dimmable so it can be used in more cosy spaces in hotels or even at home in a noisy shared dining or living space. 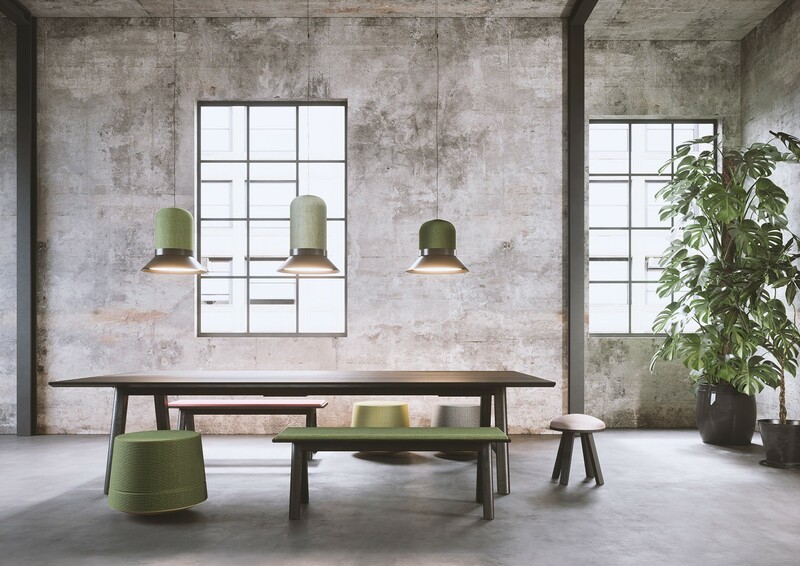 All these possibilities transform the lamp into an object with two distinct functionalities and a great deal of added charm and playfulness. 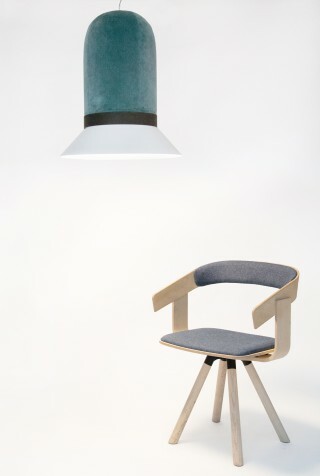 Materials Aluminium, light module, foam, fabric.